Azerbaijan (in Azeri : Azərbaycan or Азәрбајҹан), officially the Republic of Azerbaijan ( Azerbaijani : Azərbaycan Respublikası), is a country Eurasian located in the Caucasus to the edge of the Caspian Sea. It borders Russia to the north, with Georgia and Armenia to the west and Iran to the south. 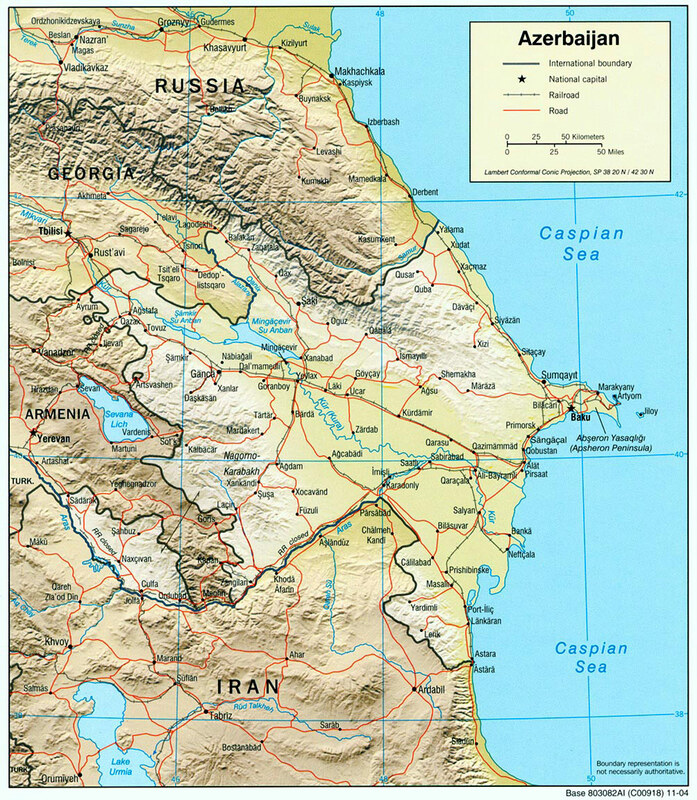 The region of Nagorno-Karabakh or Nagorno Karabakh, located southwest of the country declared itself independent from Azerbaijan in 1991, but no nation has recognized it. Most of this region, along with part of the territory that separates Armenia, is incorporated in the Republic of Nagorno Karabakh with strong ties to Armenia.